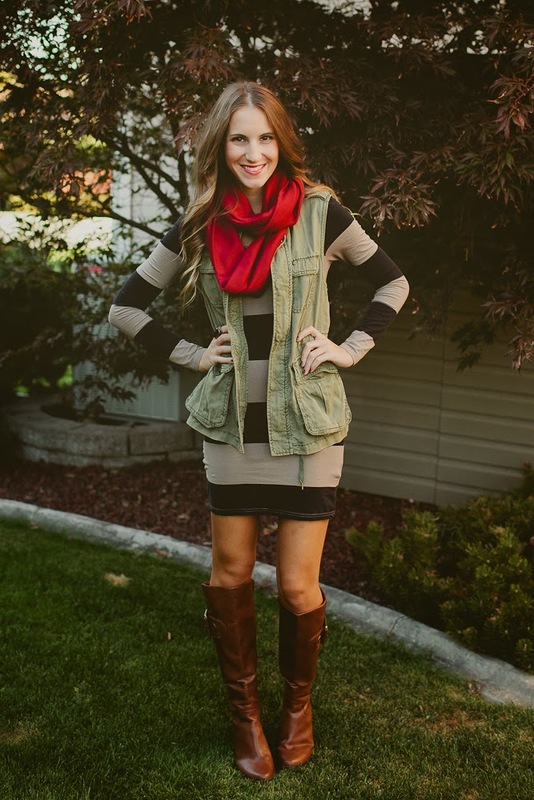 Scarf Weather and a Giveaway! As promised, here is another look featuring another new Caring Cowl design! 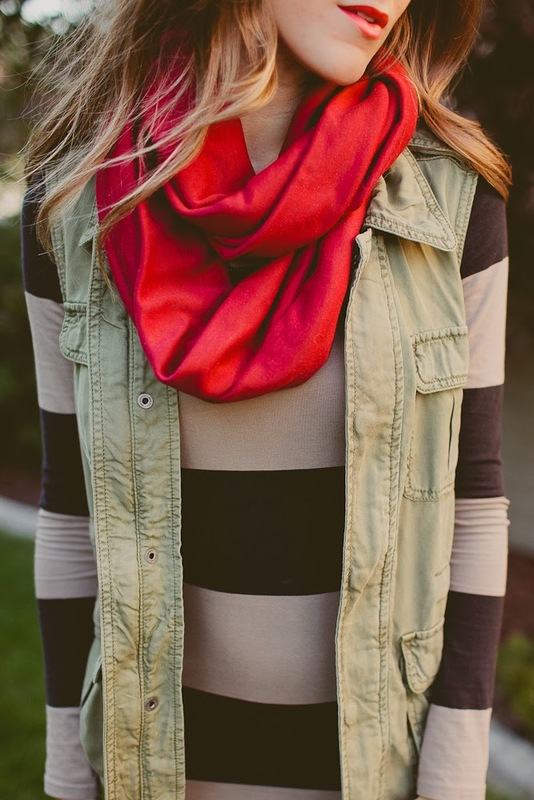 This cowl is the perfect option for all day wear. I have been looking for a lighter, knit scarf that I could wear at work, that would keep my neck warm all day long. Anybody else have the problem of being FREEZING allllll day at work in the fall and winter?? There is nothing worse than shivering all day…luckily, this lightweight Jersey Caring Cowl has come to the rescue! 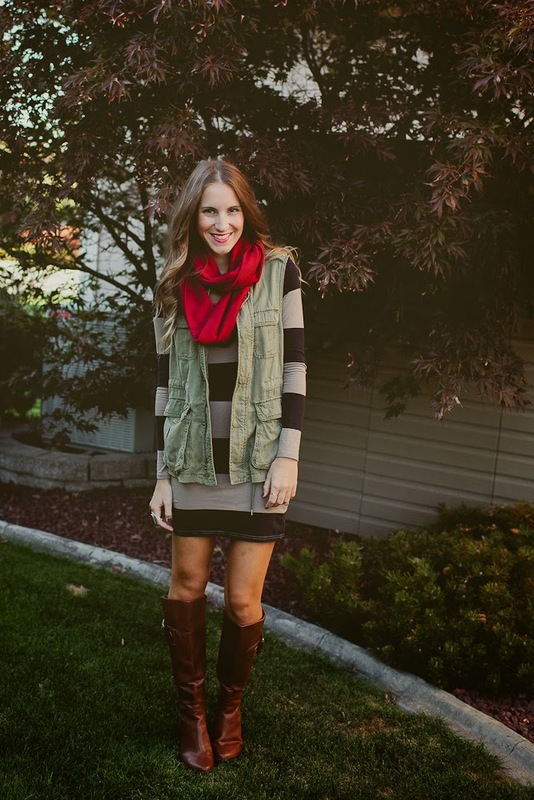 I paired my Jersey Caring Cowl with a long sleeve body-con dress, my cargo vest and brown boots for an easy and chic fall outfit. I know I often declare my love for summer, but I’m pretty happy it’s scarf weather! This cowl is not currently up on the Caring Cowl Etsy shop or the Caring Cowl product page, but visit the Caring Cowl blog and contact Sarah to order! With so many new designs, Sarah of Caring Cowls has decided to host a giveaway on Twenties Girl Style! Entry is easy! Just follow the Rafflecopter below:) The winner will receive a Caring Cowl of their choice (color and style). Check out the available styles HERE and HERE. such a cute outfit i love the scarf and stripes combo! so pretty! Love this outfit! I seriously want to run out and buy one of those vests right now… so cute! Love long-sleeved dresses for fall! Great Blog ! and greaat vest !! I love the pairing of that dress with the vest! And those boots are killer! Such a beautiful outfit! I love how you styled it and you look fantastic in it! I especially love your boots 🙂 Perfect for the season!